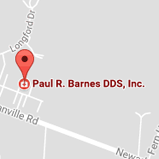 Meet the Team - Dentist Granville OH | Paul R. Barnes DDS Inc. I have been working with Dr. Barnes for 14 great years, I love getting to know our patients and their families and watching them grow. I worked first as a certified dental assistant and then graduated from The Ohio State University with my hygiene degree. I strive to make our patients comfortable and relaxed while educating them on how to maintain oral and overall health. Each year we invite our local preschools to our office for a movie and treats, it is so much fun listening to their answers to our questions. Dr. Barnes is fantastic with children of all ages. He has always kept himself and staff current on all the new dental advances and techniques. He takes personal time with each and every patient to understand his or her concerns and needs. Dr. Barnes’ attention to detail makes him an outstanding dentist! He is genuinely a wonderful person and that also makes him a fantastic dentist. My husband, Michael, and I have two beautiful daughters, Alayna and Gabreilla. I always love spending time with my family and playing with my children. I am a member of the American Dental Hygiene Association. Working with Dr. Barnes to become one of Central Ohio’s largest Invisalign providers is very exciting for me. I enjoy building relationships with our patients, as I assist them thru the progression of their Invisalign treatment. The transformation process of not only the patient’s smile, but also their self-confidence is the most rewarding aspect of my job. Dr Barnes is the ultimate perfectionist and has an amazing talent for creating beautiful smiles. It’s wonderful working with someone who treats his patients and his staff with the utmost respect and highest quality of care. My husband, Brian and I have been married for twenty years. We have two daughters, Reaghan and Payton. I love spending time with my family, horseback riding with my girls, antiquing, gardening, reading and shopping for the "ultimate bargain"! I have been blessed to assist Dr. Barnes with our patients for the past twelve years. My interaction with our patients is focused on making sure that they are completely comfortable and ensuring that each procedure goes as smooth as possible. I love assisting in surgical procedure, anything from removing wisdom teeth to placing implants. Dr. Barnes has taught me so much in the past twelve years, he always has a big bright smile on his face and a gentle touch with all of his patients young and established. I have been married for 13 years. Brian and I have two beautiful and talented children, Ashton and Bryson. We also have a cat named Chewy and our newest family addition, our puppy, Daisy. Our kids keep us very busy in our free time with dance and gymnastics with their traveling competition team. I am known around the office as "The Dance Mom." I have been fortunate to be involved in the field of dentistry for over thirty years. Nearly all of those years have been under the exceptional direction and leadership of Dr. Barnes. Having both a restorative dental hygiene degree and a business administration degree, I have the unique opportunity to work in both the clinical and business side of the practice. The most important part of my job is to ensure each patient feels completely well served in all aspects of their dental care. Working with an outstanding doctor and team, with over 100 years combined dental experience, makes my job easy! I love working with a team willing to do whatever it takes to help our patients achieve their dental needs and wants. It is of utmost importance to Dr. Barnes and our entire staff that each patient receives excellent treatment in a manner that is caring and gentle. I have been married to my husband, Alan, for thirty years. We have three beautiful daughters, two wonderful son-in-laws, three handsome grandsons, and two great dogs! I love being involved with my youngest daughter’s activities, which has given me the opportunity to work with the children at our church and even be a soccer "coach"!